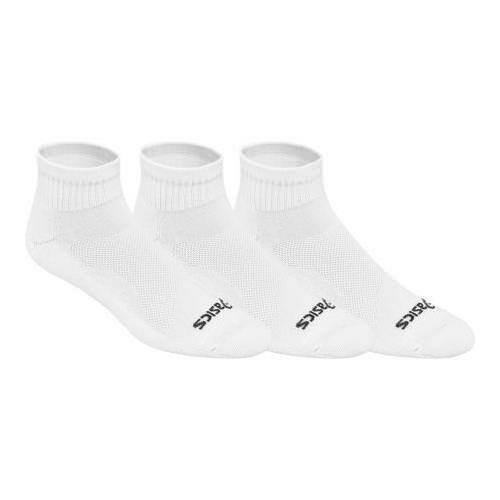 When you put on ASICS Cushion Quarter socks, you may think you are walking on clouds. The ultra-soft, plush cushioning sets the apart from the rest. Featuring mesh knit-in for superior ventilation, your feet will stay dry and comfortable. With a seamless toe and "Y" heel gore, you will have an improved fit and reduced slippage to ensure your feet stay protected from possible abrasion. As part of ASICS Everyday Performance line, the Cushion Quarter is sure to be a new staple in your sock drawer.